“And sad?” I added. “Do I look sad?” The camera can’t lie. It is, after all, February in Minnesota. It is hard to describe Minnesota in February to someone who has never survived it. We have not seen the sun since October. It seems that every human is tired of being strong. In February, we let go of being well and let ourselves succumb to being sick. We have not taken a deep breathe of fresh air since autumn. Instead we breathe shallow against the layered mucus and cough our exhales. The sky stays dirty white for weeks on end to match the dirty snow piled over our heads. We have to conjure up the idea of blue and green from memories of last summer. We have forgotten what our own feet and forearms look like, and our necks are stiff from making them disappear into our shoulders. Our lips are chapped and peeling, making it easier to not smile. It seems like we have been hunched over for body heat, heads down in a submissive pose to protect our eyes from the wind and glare off the snow for so long that we may never be able to regain our proper spine length. February feels like survival, waiting, purgatory, exhausted defeat. In healthy communities, people take turns being strong and tending to the weak. In February, we are all weak. There is no use complaining. We become kinder to each other not because we are good, but out of pure fatigue. It is a well-known rule of thumb in Minnesota that no major life decisions should be made in February. We exist and count it as victory. How merciful that it is the shortest month. Is this not how we all really feel? On Thursday I visited some two-year olds at a day care in Minneapolis. Every single little nugget had snot literally running and dripping off of their adorable faces. And it dawned on me that their faces were reflecting reality. We are all sick, it is just that adults are better at faking it. 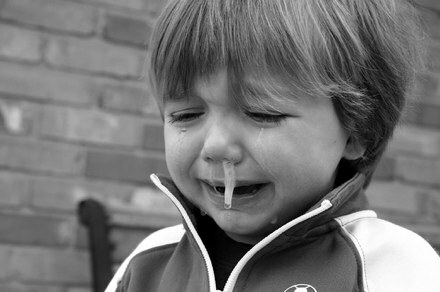 But really, in early February, we all have metaphorical snot everywhere. That is what I love about young kids—they have not learned yet how to pretend to be ok. They don’t lie and say they are fine when they are not. When they are sick, they cry and sleep, snuggle and snot all over and don’t try to hide it. The image helped me be more patient with myself. It feels liberating to name how tired we all are, to not waste energy hiding our winter vulnerability and pretending to be well. It is, after all, February in Minnesota. Despite all odds, we cling faithfully to the hope that spring will one day come.